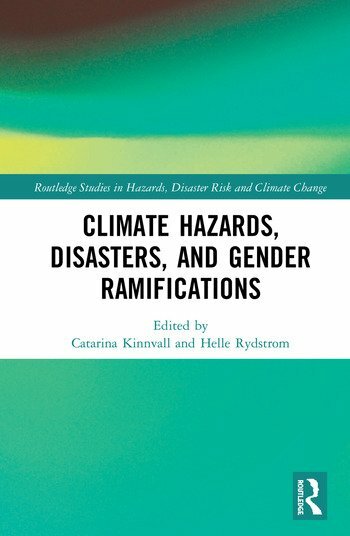 This book focuses on the challenges of living with climate disasters, in addition to the existing gender inequalities that prevail and define social, economic and political conditions. Social inequalities have consequences for the everyday lives of women and girls where power relations, institutional and socio-cultural practices make them disadvantaged in terms of disaster preparedness and experience. Chapters in this book unravel how gender and masculinity intersect with age, ethnicity, sexuality and class in specific contexts around the globe. It looks at the various kinds of difficulties for particular groups before, during and after disastrous events such as typhoons, flooding, landslides and earthquakes. It explores how issues of gender hierarchies, patriarchal structures and masculinity are closely related to gender segregation, institutional codes of behaviour and to a denial of environmental crisis. This book stresses the need for a gender-responsive framework that can provide a more holistic understanding of disasters and climate change. A critical feminist perspective uncovers the gendered politics of disaster and climate change. This book will be useful for practitioners and researchers working within the areas of Climate Change response, Gender Studies, Disaster Studies and International Relations. Climate Change and ‘Architectures of Entitlement’: Beyond Gendered Virtue and Vulnerability in the Pacific Islands? Catarina Kinnvall is Professor at the Department of Political Science, Lund University, Sweden. Helle Rydström is Professor at the Department of Gender Studies, Lund University, Sweden.